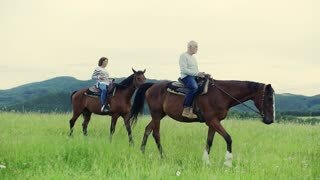 A senior couple getting ready for riding horses on a meadow. Slow motion. A happy senior couple sitting on horses on a meadow in nature. Slow motion.